Clip in hair extensions are a simple way to instantly get longer and thicker hair. They are an inexpensive and an efficient way of glamourising your appearance – it’s a simple do it yourself technique that anyone can do at home in only a few minutes. Clip-on a claw clip hairpieces by simply squeezing open the clip and attaching over or into your hair bun or ponytail. The clip in jaw clip has a spring type function adding more security to hair placement. 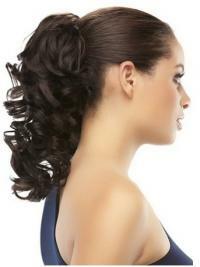 urhair.co.uk has the great quality of clip in hairpieces. Buy one and we won’t let you down.